James Printing can handle all of your Variable Data Printing needs. We are living in a digital age. Recent printing technology has helped those willing to invest make significant speed, quality and personalization improvements. Today’s digital product is much better than five or two years ago. James Printing is proud to be at the forefront of the digital age print revolution. Our digitally printed pieces rival the quality you’re used to with offset, however the speed for short runs and one-to-one message relevance is unparalleled. One of the unique components that only digital printing offers is Variable Data Printing (VDP), which allows you to tailor each printed piece to the specific needs and desires of the recipient. In the hands of a skilled designer, VDP can help achieve much higher response rates and return on investment (ROI) than normal. It only makes sense that a college recruit would be more receptive to a personalized message about their major than a general college piece. At James Printing, personalized printing offered through digital technology is not a new capability, just an expanded one. Variable data printing allows you to change the font, text, graphics, pricing and other elements on each individual document to an extent that each direct mail piece looks as if it’s been specifically designed and printed for a single person. This level of personalization is truly attention grabbing. Using VDP, James Printing creates direct mailing pieces that are targeted to your audience and customized to the individual by drawing upon specific criteria from your database. This includes each prospect’s demographics, purchasing pattern, or any other individual data that you may have. When you want to direct your message to a specific group or individual, VDP allows you to merge data from your database into any document design. 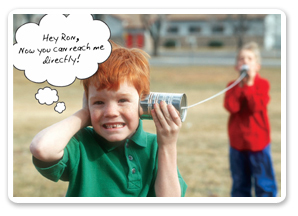 This gives your communication more impact on the receiving end because it’s not a one-size-fits-all mailer. Instead, it’s uniquely designed for the recipient which leads to higher response rates.